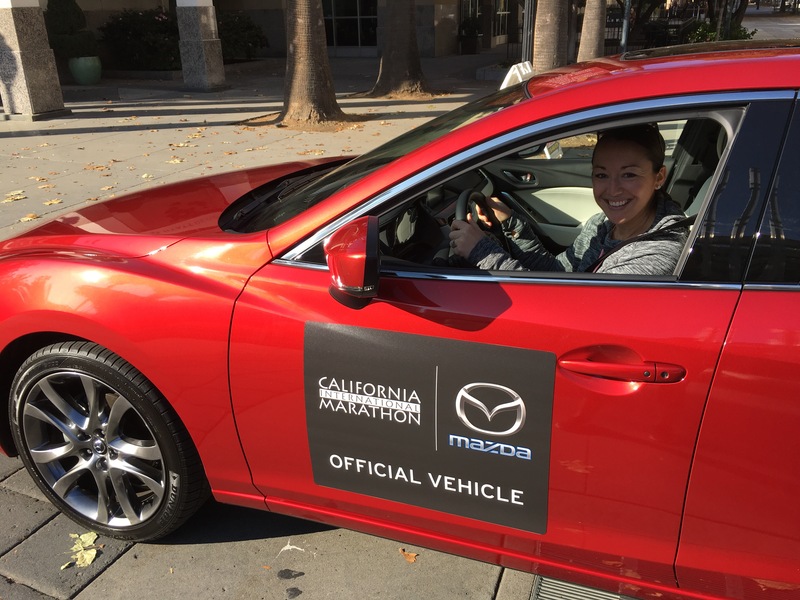 The California International Marathon (CIM) is most certainly “a marathon organized by runners, for runners,” as stated on the runSRA website. I’ve run a total of 12 marathons and this course / experience was one of my top favorites! 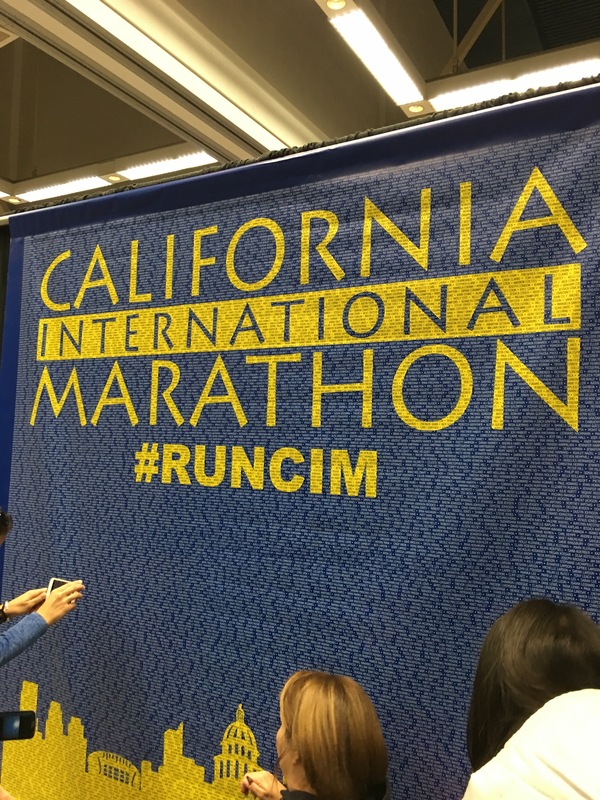 From the expo to race day, everything was well organized, enjoyable, and made me want to run CIM every year! 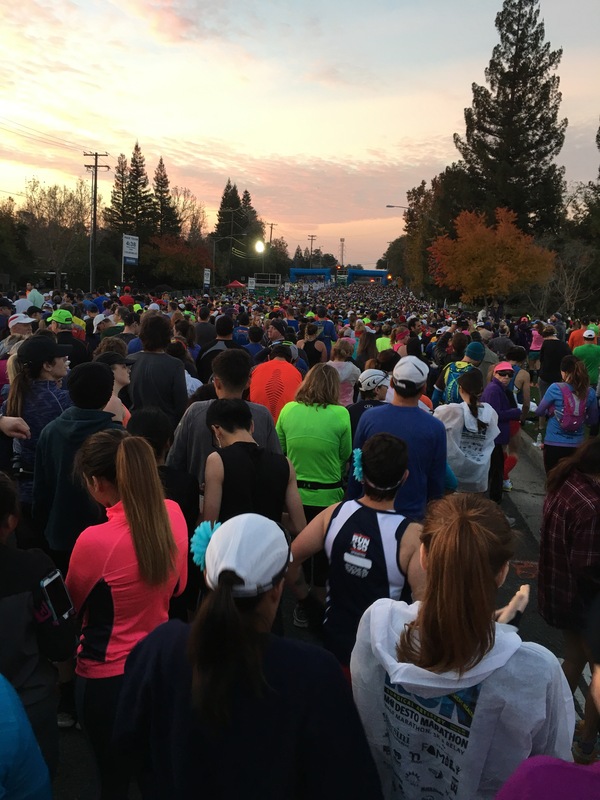 The day before CIM, there was a shakeout run hosted by the Sacramento Running Association, but I was not able to make it since I had previously signed up for a local 5k with a co-worker. 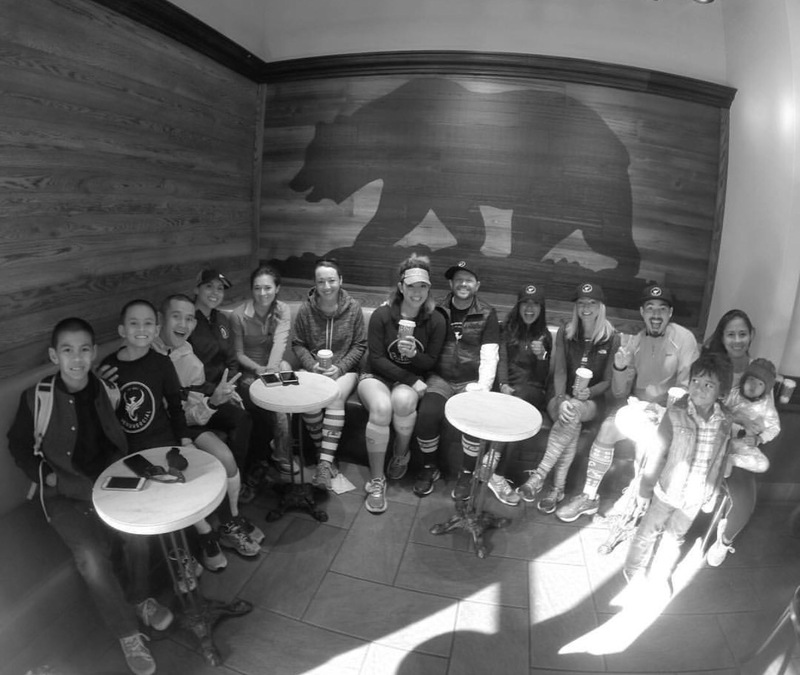 After the 5k, I drove to Sacramento for the post shakeout run after party at Starbucks with some pretty amazing runners. I had previously met Tiffany at a different Sacramento area race and I already followed most of the runners on Instagram, but this was my first time to meet most of them in person. I was in awe. I couldn’t believe that little ‘ol me was in the presence of such running greatness! 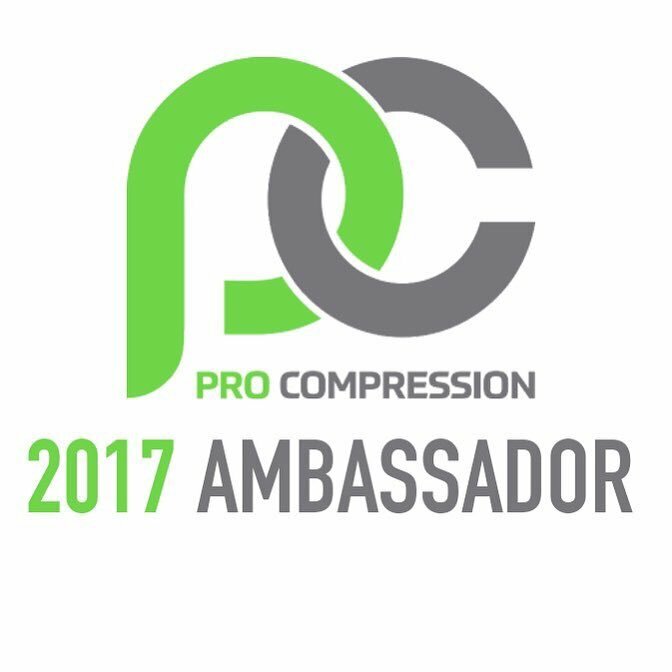 (FitFam6, hgruns, ivieanne, a2thej44, fueledbyfrosting, and pavementrunner) Interested in meeting up with these amazing folks and others? Be sure to follow We Run Social. After meeting up with some of my running idols, I headed on over to the CIM expo located at the Sacramento Convention Center. I was immediately stopped by a Mazda representative asking me if I wanted to test drive a car and receive a Starbucks gift-card. Test drive a new car and get a Starbucks card? … Sure, why not! After my test drive, I finally made it into the main expo area and I was blown away! This was probably the biggest and best expo I had every been to! (Nike Women’s Marathon in San Francisco was also pretty nice, but it was very crowded.) 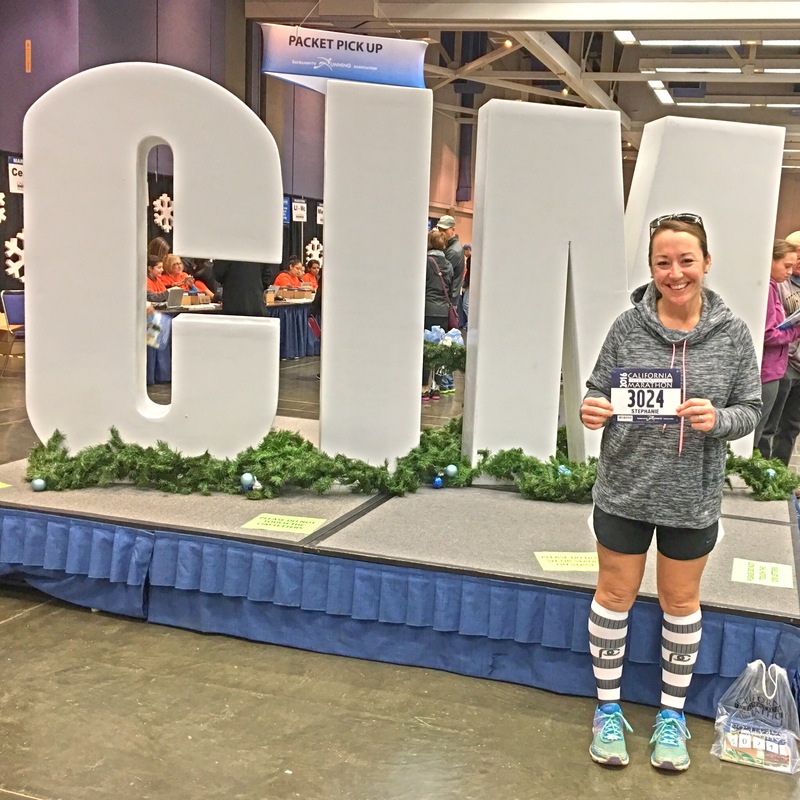 I, of course, had to get a picture in front of the CIM letters holding my bib and get a picture of my name typed out on the CIM banner. There were quite the variety of vendors at the expo… lots of money to be spent! I was in luck because I had brought in with me three things: my iphone, my ID, and my credit card. 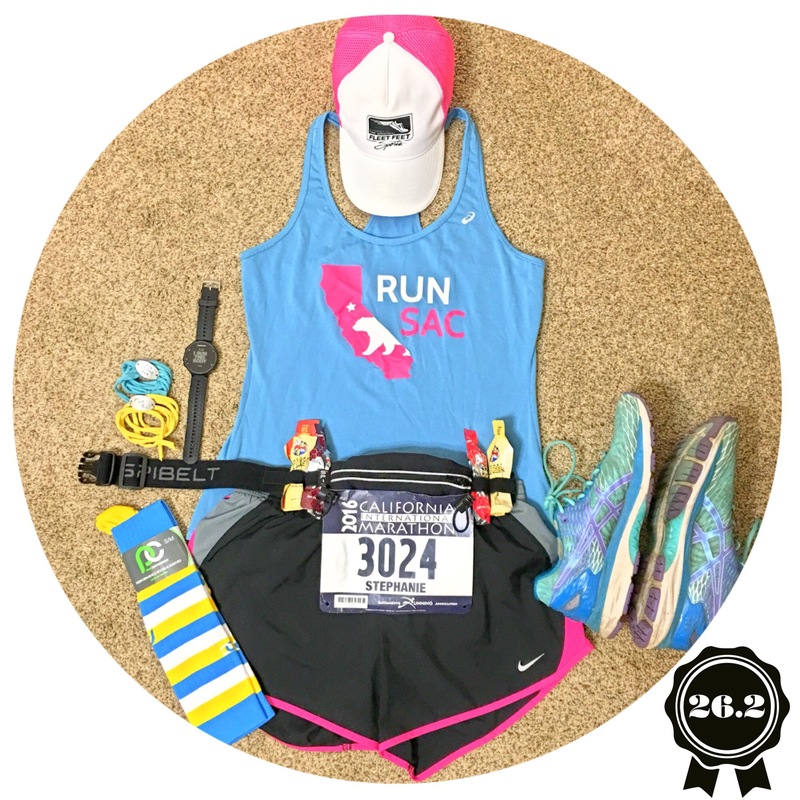 After browsing for about 30 minutes, I ended up purchasing a race entry to the Modesto marathon since it will be my 13th full marathon on my 33rd birthday (March 19th), a few Honey Stinger chews and gels, and a Garmin Forerunner 235. Goodbye Garmin Forerunner 405cx from 2011, and hello new Garmin! My alarm went off at 3:30am on Sunday morning. I got up, took a shower, and got dressed. 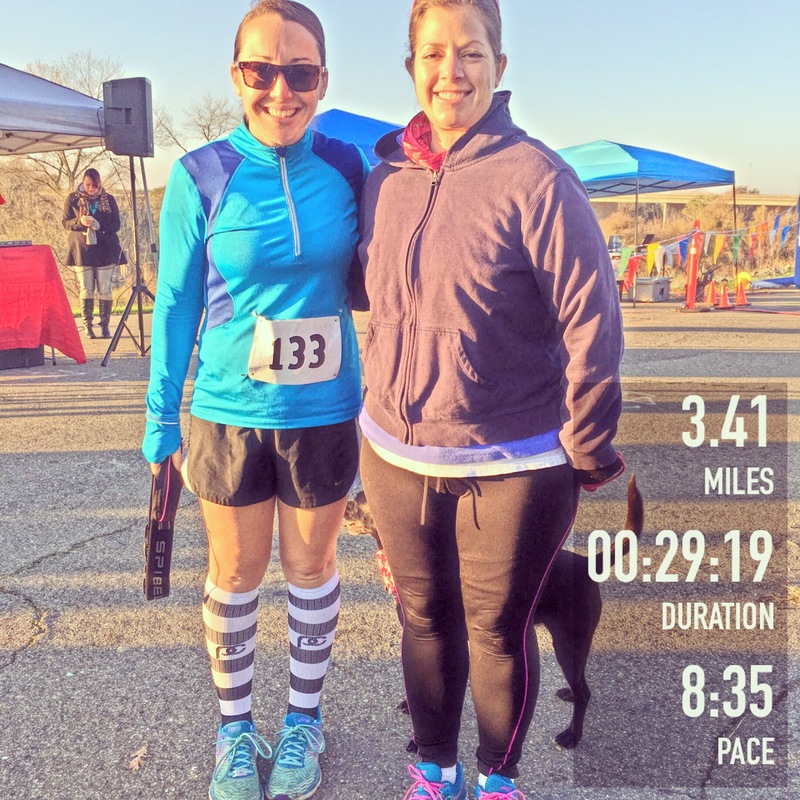 I know it may seem incredibly strange for me to take a shower before I run, but it wakes me up, keeps me feeling fresh, and helps me look picture-ready for the race day pics! I left the house by 4:15am and arrived in Sacramento by 4:56am just in time to park my car, walk over to the shuttle area, and hop on a shuttle to take me to the starting line. I arrived to the starting line by about 5:40am. While on the bus I realized that I had left my breakfast in my car. Instead of freaking out, I thought to myself, “Oh well, I’ll either eat a gel as my breakfast or see if there is a convenience store nearby to purchase something since I have my credit card and ID on me.” Fortunately, there was a table set up at the starting line with bananas and there was an open gas station. My breakfast, therefore, consisted of a Cliff bar and a banana. At 6:40am, I waited in line to use the Porta-Potty and by 6:55am I was standing in the starting area ready to begin! I lined up with the 4:43 pacing group because I knew this race wasn’t going to be a PR. Once the race started though, I jumped over to left side of the road since it wasn’t as crowded and I ended up near the 4:30 pacing group. Much to my surprise I came up behind Brian and Richard less than a mile into the race. We chatted for a bit and in my mind I thought, “Ok, take it easy and just try to stick with them.” This tends to be my strategy. I find someone, hone in, and try to stick with them. At mile 2 we came up on our first “hill” and Brian, who had run this course previously said, “This is the worst one… I think.” I took in a deep breath, used my arms, and slowly ran up the hill. By mile 3 I ditched my throw-away sweatshirt and was feeling good. Before I knew it, I was in the 4:23 pace group and had lost Brian and Richard! A whole bunch of thoughts started dancing through my mind. Could I actually pull off a PR? (My marathon PR was 4:28.) Could I stick with the 4:23 pace group? Was I going out too fast? I tried pushing out all of the negative thoughts, blasted my Motion Traxx podcast, and focused on my breathing. I was in front of the 4:23 pacing group all the way until mile 18. They passed me when I stopped at a water station to refill my SPIbelt H2O bottles (use code “stephanied2016” during checkout at spibelt.com for a gift with purchase). I took it easy in my first half, saving my legs in the second half. The weather was a cool 40 degrees. I was running a new course. I came across the finish line in 4:34:42. This was officially my fastest marathon of the year. My second fastest time for 2016 was the Western Pacific Marathon on April 30th in 4:35:47. For the Western Pacific Marathon I was training consistently. 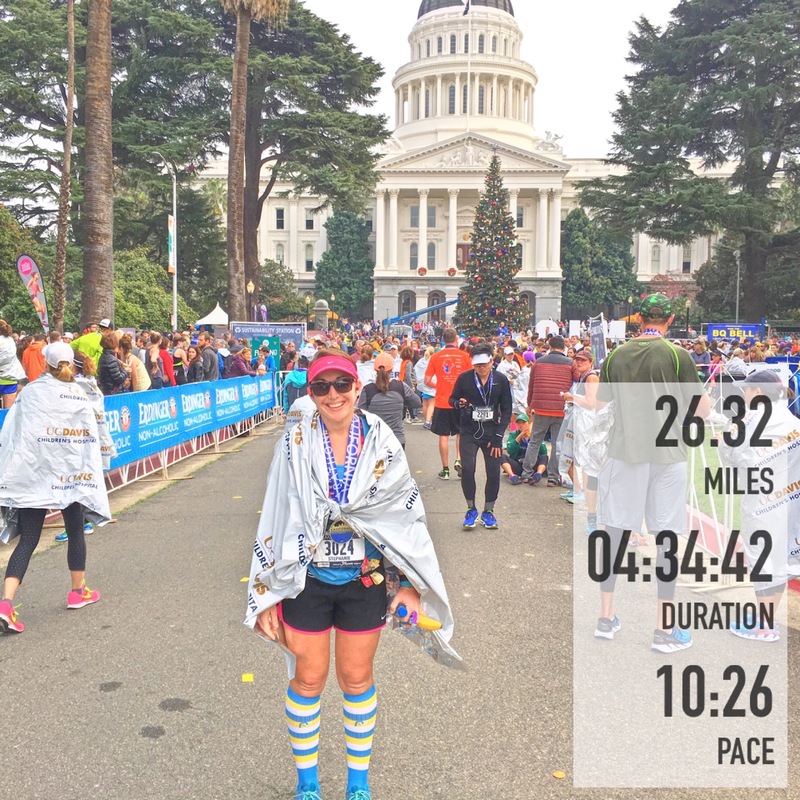 For this marathon, CIM, my training was… not so consistent. So, with this being said, I was proud of my 4:34:42 finish. What’s next for me? I’d love to train smarter, perhaps get a coach, and figure out how to improve my marathon time. I know that I need to incorporate speed drills. I know that training is more than just about mileage. I hope to continue running in 2017, pacing, and staying injury free. How about you? What are your goals as we head into 2017? Congrats! 12 marathons, and six of them this year! Inspirational!! 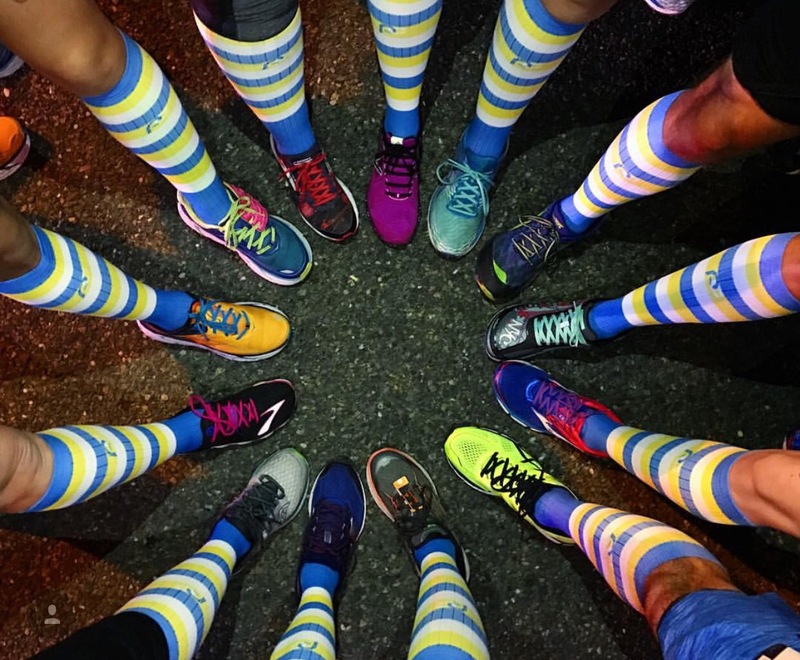 Check out Runners Connect. I used their training plan for Chicago and loved it. 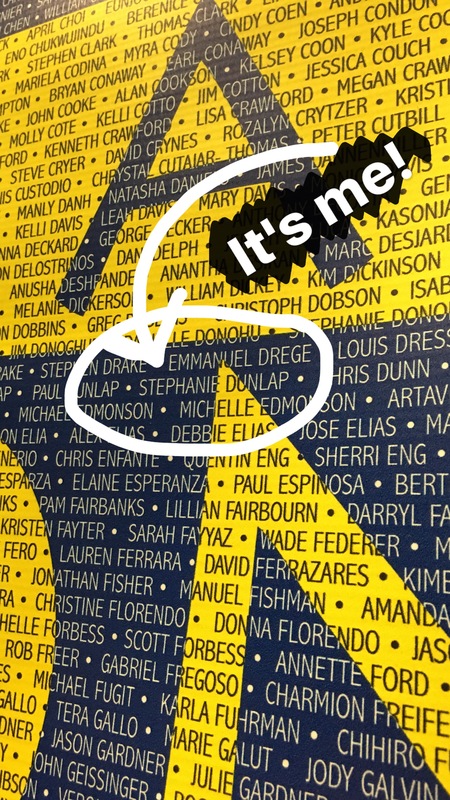 I don’t want a coach right now, too much going on personally, but if I did I’d go to Runners Connect again. I think it was 50/month. But you can try for a week free, and can cancel any time. You have a community to communicate with, you can reach out to coaches any time. They can edit your plan if needed, they have a great podcast & blog…they are really good. Awesome! Thanks so much Haley! I’ll have to go check them out! ← Coffee and Protein… These are some of my favorite things!